Mirei Shigemori’s view on art had a significant influence on Ikebana. It was around the 1930’s that Shigemori advocated a new Ikebana movement with Sofu Teshigahara, the founder of Sogetsu school and Houn Ohara, the headmaster of Ohara school. 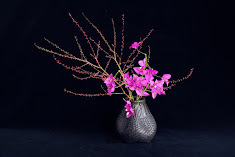 Shigemori stated that Ikebana is art. What he meant by art is the Modernism movement of the late 19th century to the early 20th century. Some of the artists Shigemori admired include Jean-François Millet and Wassily Kandinsky. It is necessary to clarify the characteristics of Modernism, and to look into how they influenced Ikebana. Among the three largest Ikebana schools, both Sogetsu and Ohara were influenced by the new Ikebana movement and gained great popularity after the war, becoming the major forces in the largest Ikebana boom in Japanese history. 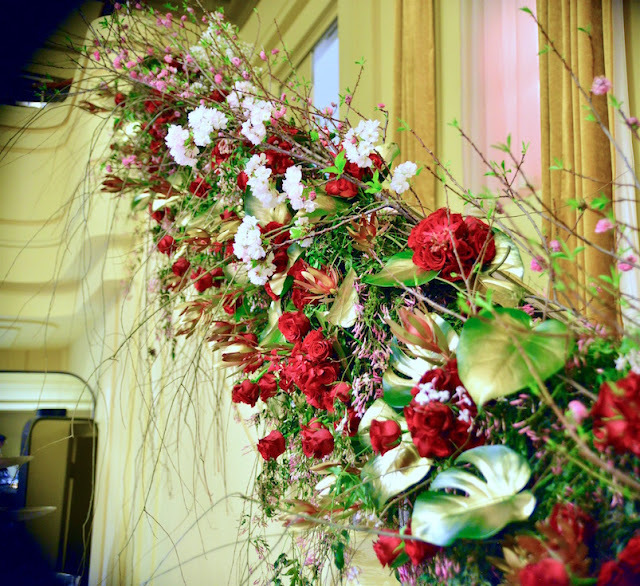 They moved away from many aspects of traditional Ikebana, including the notion of Ikebana as a spiritual training and the traditional attitude of respecting flowers as spiritual entities. What I am talking about here is probably the most important cultural transformation in the history of Ikebana. Nevertheless, very few people have ever discussed this issue in public, probably because this is a rather inconvenient and concerning topic for some people. It is a good time, however, to reevaluate the new Ikebana movement and reconsider the role of Ikebana in contemporary society. Facing such a huge topic, it might be better to start with a list of questions in the next issue. This image is a detail of my wedding installation at the Mural hall, Myer in Melbourne. With help from my fantastic team, I transformed the hall into a dream world using about 2000 roses. As I do both installations and wedding bouquets, I am often requested to do this kind of challenging project. I conducted a Ikebana workshop at Kazari in October as part of Salvo Community Fundraising Events and the next one will be at Made in Japan in South Melbourne on the 25th of November. If your organisation is interested in hosting our workshops, please contact us. Also please visit Yering Station in Yarra Valley by 5 December to see my award wining work as part of their annual sculpture exhibition.